Discussion in 'Collectibles' started by KrangPrime, Nov 24, 2016. -a Box with cutouts of shapes all over it. the top was tanish, the sides where greenish, and i think the pieces where blue or red. all 6 sides of the box had cut outs of shapes, and you had to put the correct shape in the correct hole. and the top lid came off to empty it. - A Frog that opened it's mouth when you squeezed the plunger. One of my favorite cups that had classic cartoons on it. I specifically remember mighty mouse and heckle and jeckle. it was white/tanish in color. would love to see some pictures at least cause i can't find any. these toys would be late 70s, or early 80s. I'm afraid we might need more information from you on these pieces. The shape toy was a cheap toy that many manufacturers produced. The main companies made the plastic one in the photos, but there were tons of knock off companies that made wood box ones. So without more details yours could have been made by anyone. And the cup... was one a Mighty Mouse and one a Heckle and Jeckle, or were they both on the same glass? Was it glass? Plastic? Color of cup? Any details? That frog looks about right . for the shape box, the second one looks more right. but the four sides where a darker green and the top was whiteish. the kind of things that where kept forever in grandma's house thatyou thought would always be there but one day just vanished..
n0regret5, George and Wes R like this. I've actually been trying to find this toy I had in either the late 80s or early 90s. I don't know waht it was from and can only remember the basics of it. It being a vehicle with these orangeish red guys. Maybe I can try and draw it best I can from memory and see if anyone knows what in the world the toy was. Well....this is kinda the toy....but I think if I really saw a pic, I'd find I'm so wrong in parts. But it was something like this I remember. I hate this. KrangPrime and Halliwax like this. HA!! That's exactly what I thought when I saw it! Cheap * doctor's or dentist office toys! Lol. They have one of those at the place we get our kid's haircuts. My son loves it. Even with tablets and all the other fancy stuff they have some things are always fun. Still are today. My kids doctor has that same thing in her waiting room. No, it wasn't Kerplunk. Kerplunk was an actual game. 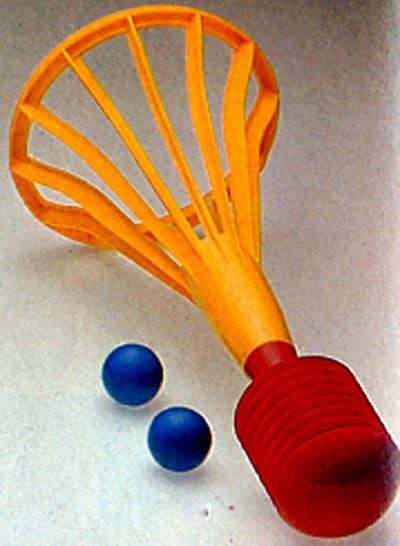 This doohickey seemed to really have no purpose other than just to slide those beads and crap around. I'm guessing it was supposed to be some kind of hand/eye coordination thing for young children. Usually some version of this kind of thing. This looks like a newer version of it. The ones we had in the 70s seemed much more dangerous. Solos blaster, Halliwax and KrangPrime like this. Some of my favorites were the good old Kenner Jurassic Park and The Lost World toys. Good times, good times. I still keep a handful of my collection in my closet out of sentimentality. The middle one was made by Tupperware back in the late 70's.....my mom had Tupperware parties. I got the crappy display toys. I played 'burn it' with mine. It was a highly strategic game that involved lighter fluid, a match and the garbage can. Kind of a one time only thing game. OMG Tupperware toys!!! My Mom sold that crap in the 70s also. I had all kinds of Tupperware toys!! Had totally forgotten about those!! made alot of toys myself, funnything is start making them again with my son and still have a blast with them. Axlotl and Eyes Only like this. Does anyone remember Constructs from the 80's. They were like a cross between Lego and Erector sets. I was digging through my old stuff at my parent's yesterday and came across my old sets. Some of them were still assembled. This was my attempt to build the drop ship from Aliens! Lol. NellyVille, Snikt, B-Movie Zombie and 1 other person like this. wasn't this part of the ROTJ Skiff pike? I had one of these. Diamond Select Toys acquires Gentle Giant, Ltd.